“I have an unusual story in that I’m a technology expert who decided to put myself through law school in my late thirties. 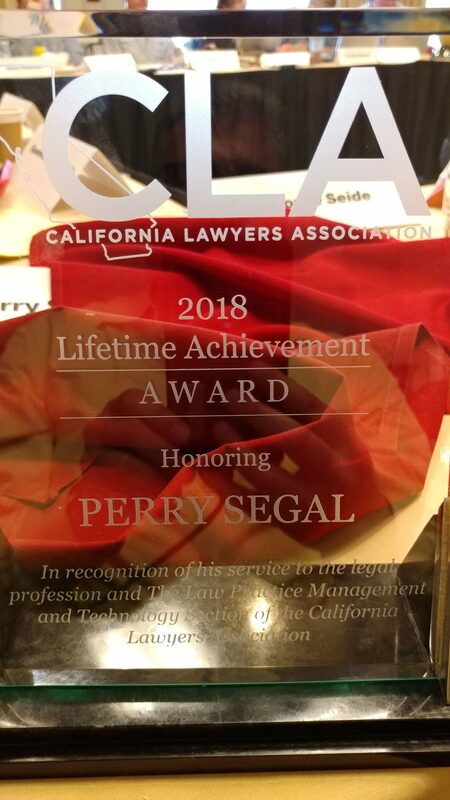 Fifteen years ago, I saw the increasing convergence of law and technology issues and how they would affect my clients – and the law firms who support them – into the future. I feel my experience as owner of a consulting business since 1999 and approaching my 17th year – adding a solo law practice in 2008 – gives me a unique understanding of how the laws apply to these technological advances. As a Technology Consultant, I’ve managed groups of people as well as complex projects (with budget control) for some very large international conglomerates. I have carried my leadership skills to the State Bar by being appointed to the Law Practice Management and Technology Section Executive Committee only 18 months after passing the Bar exam and being elected Vice-Chair, then Chair by my third year on the Excom. I was appointed an Ex-Offico Member of the Task Force on Admissions Regulation Reform (TFARR) by former Bar President Jon Streeter, receiving high marks from him for my contributions. I currently serve as Immediate Past Chair of the Council of State Bar Sections. 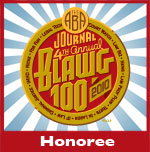 I write a popular blawg, eDiscovery Insights (www.ediscoveryinsights.com), that was selected by the ABA as one of the top 100 law blogs in 2010 – written by lawyers for lawyers – and selected for inclusion in the archives of the Library of Congress. At the time of these accolades, I’d only been an attorney for two years. I present several CLE programs for the Bar annually, and personally wrote a large portion of the book, “The California Guide to Growing and Managing a Law Office”. I possess the ability to liaise seamlessly between legal and technology issues to facilitate cooperation between the two disciplines. I’m firmly behind the State Bar’s mandate of protecting the public and have made it a cornerstone of my practice. In fact, I consulted with the Los Angeles County District Attorney’s Office on their “Protecting Our Kids” program, which was created to protect the Internet activities of young people. In less than eight years, I’ve expanded my practice from Los Angeles to San Francisco, New York and Nevada. I feel that I can make a valuable contribution as a business owner, multi-state solo law practitioner, and technology expert. As I say in my classes, “Older attorneys are too intimidated by technology, and younger attorneys aren’t intimidated enough!” I would very much like to contribute by making the ‘technology of law’ less intimidating and mysterious to both groups, with the end-game to protect lawyers – and by extension, the public. A better-prepared lawyer protects the public! I want to be clear where I stand. I’m very bullish about the State Bar and believe that our best years are ahead of us. It would be a privilege to put my knowledge to work for the Board of Trustees. I’m ready to contribute any way I can. Previous PosteClassics: e-Discovery LOL: “YCDBSOYA!”Next PostBoard of Trustees: I Think I’m on the Right Track!